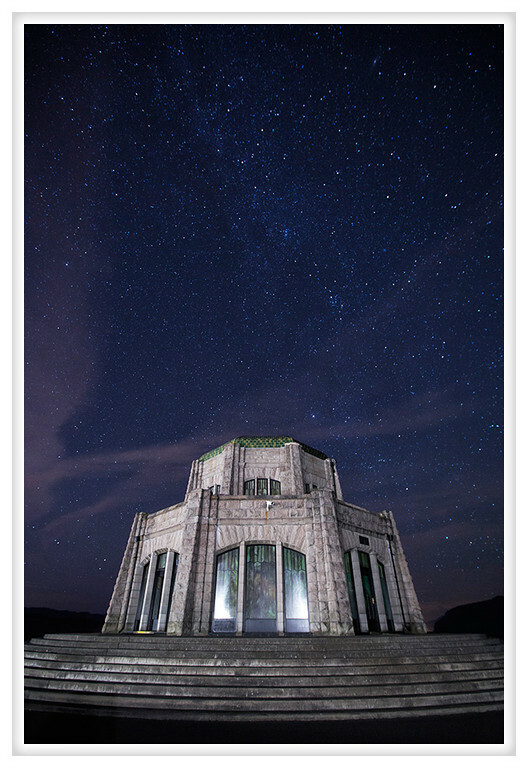 Another shot from my evening at Vista House last weekend. The first image I shared was taken before the lights inside turned off and this one was lit by the scattered street lamps. I think the stars are a little most visible in this picture. The only thing I would try to do differently is get rid of the lights reflected in the windows which could have been easily accomplished if the lights were still on inside. Can I buy a print of this? ?